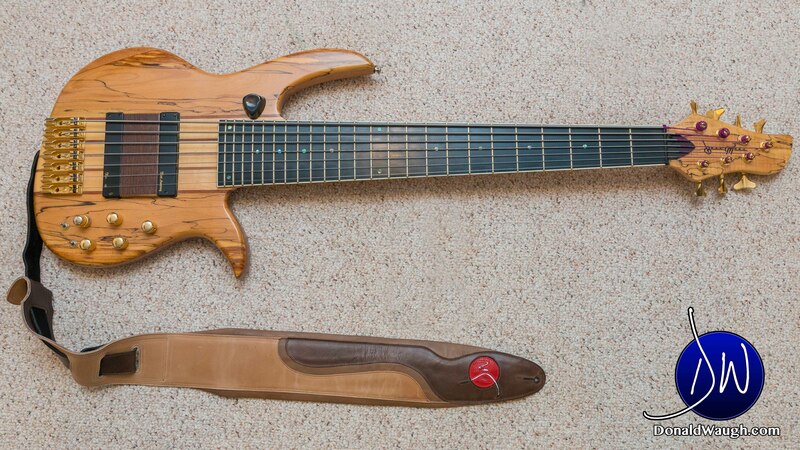 I always wanted a 7 string bass but I was too scared to pull the trigger…LOL. When I started doing solo gigs back in 2014 I realized I needed a bit more notes than my six string bass. I decided to hunt online for several weeks, eventually I stumbled on the Bass Mods NT7. I had never seen or played the NT7 before but I liked the way it looked, hahahah. I searched around online for video reviews and I couldn’t find anything specific about the NT7 but about other Bass Mods 7 string models and they were all positive reviews. So I went ahead and ordered the Bass Mods NT7 while I was on tour playing on a cruise ship. I receive the instrument the following week at the home port the ship docked each weekend. I was so excited to play the instrument I literally took it out of the box, tuned it and did a solo bass show that night. After a year of use, I though it was time to do a review of the Bass Mods NT7. Enjoy the video! The Bass Mods NT7 is a pleasure to play. As you heard in the video above it’s a beautiful instrument. I got a bit curious and I wanted to try another NT7 but one with a maple neck. I texted Robert Lemas (CEO of Bass Mods) if it was possible to build a bass exactly like the one I had but with a maple neck. He said “sure thing Don”. I was so excited that he agreed to it. The the great news was he had one in production and it was almost complete. So he was able to send one out to me while I was on tour ones again on a cruise ship in 2015. Here’s an idea of what it sound and look like. Enjoy the video! Here is the video review. Enjoy! The albums are now available for download here.